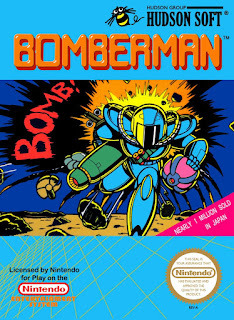 While I was working on the remakes and demakes entry a while back, I considered including the various brilliant Bomberman (or Bomber Man, as it is sometimes written) clones made for various old platforms in the recent years, but it didn't take too long for me to realize, that it's too big of a subject to talk about in passing. 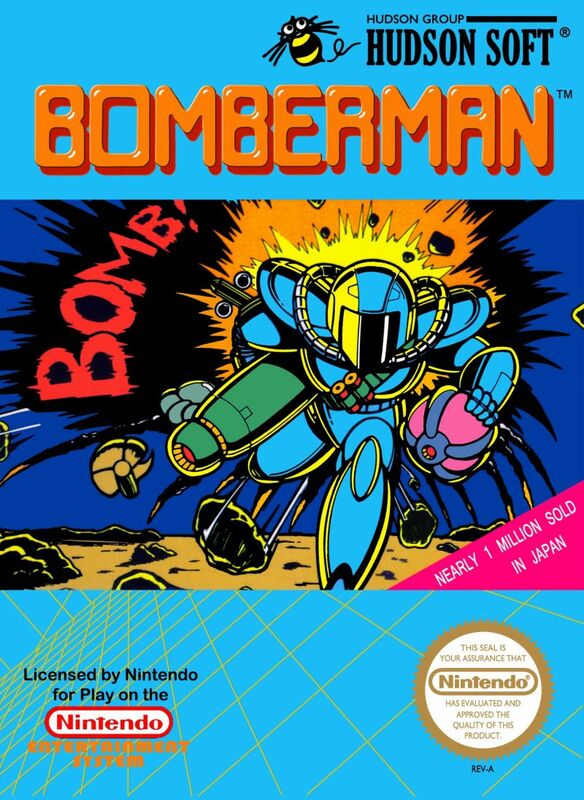 In truth, I have wanted to talk about the Bomberman series throughout the blog's history, and the subject has been often requested as well, but without limiting the area to a certain number of games or anything of the sort, it would be impossible to do just one article on it. So, only by modifying the idea from my earlier article on Paratroopers - its origins and variations (from 3 and a half years ago! ), I can finally have the chance to talk about not only the original series, but also the numerous latter-time unofficial ports that are otherwise impossible to mention anywhere. Hold on to your helmets! Well, how about that! Looks like my pesky little blog has been included into the Top 75 Retro Gaming Blogs list at Feedspot. Click on the award on the right panel just below my contact gadget to see the full Top 75. 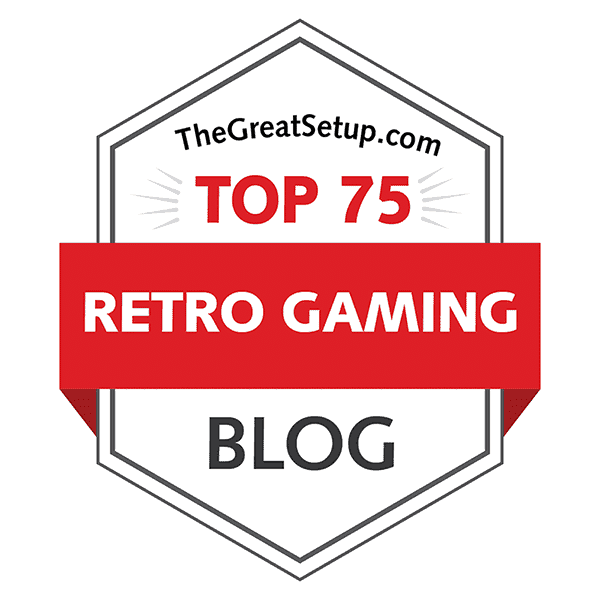 FRGCB was at number 57 this week, which I thought was surprisingly high. But hey, thanks for the support! Programming by Chris Stamper and John Lathbury. Graphics by Tim Stamper and Carole Stamper. Originally published for the Sinclair ZX Spectrum 48k in 1984. Converted for the Acorn BBC Micro by Paul Proctor, and published by Ultimate Play the Game in 1984. 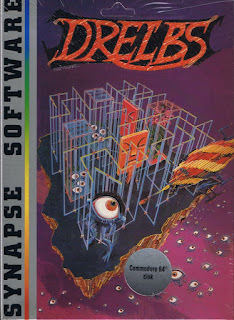 Converted for the Commodore 64 by Greg Duddle (Mr. Micro Ltd.), and published by Firebird Software in 1985. 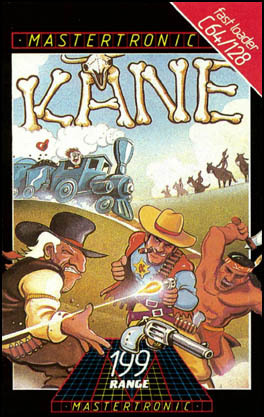 Converted for the Amstrad CPC in 1985 by Ashby Computers and Graphics Ltd., and published by Ultimate Play the Game. No further details known. Unofficial conversion for the Commodore Plus/4 by Gary "GC841" Cooper in 2012. Unofficial conversion for the Texas Instruments TI-99/4A written by Rasmus Moustgaard in 2014. In the last few years, the retro game developing scene has come forth in finally bringing out old Spectrum classic from Ultimate Play The Game (most notably games by the Stamper brothers) to machines that didn't previously have official conversions of such games as Knight Lore and Alien 8 for the 8-bit Atari computers, Pentagram and Gunfright for various Commodore machines, the already pointed-out (in credits) unofficial conversions of Sabre Wulf, and the most recently, Cookie for the C64. Designed and written by Alan Bridgman, Keith Wadhams, Michael Woodroffe and Simon Woodroffe. Graphics by Kevin Preston, Paul Drummond, Michael Landreth and Philip Nixon. Music by Dave Hasler. C64 version: Programming by Bruce le Feaux. Graphics by Kevin Preston, Paul Drummond, Mark Sample and Philip Nixon. Music by Sean "Odie" Connolly. 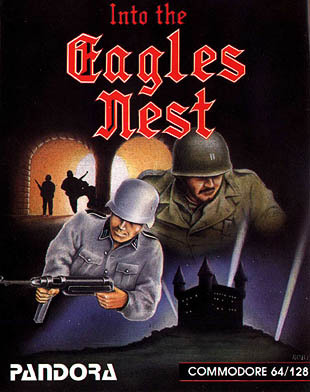 Published for Commodore Amiga, Atari ST and IBM-PC compatibles in 1990 by Accolade. 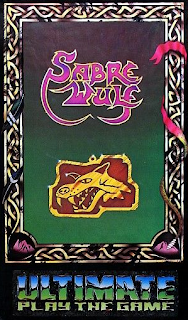 Published for the Commodore 64 in 1991 by Flair Software. Published for the NEC PC-98 computers in 1992 by Acclaim Japan. WARNING: This entry contains somewhat disturbing in-game graphics. Proceed at your own risk. The final Halloween-themed comparison article for FRGCB is dedicated to everyone's favourite - and only - mixture of cleavage and gory horror adventuring based on a horror/comedy movie based on the weekly KHJ-TV horror movie presentation show, Elvira's Movie Macabre. To most of us non-Americans, Cassandra Peterson's career was mostly visible due to Elvira, and she did make a career out of the character, encompassing two feature films, the original Movie Macabre and two reboots of the show (the other one was called 13 Nights of Elvira), a good deal of special cameo appearances in various other TV shows and movies, and she even recorded several songs for Elvira's Halloween music compilation albums. Interestingly, Elvira was originally considered to be the voice for the ending speech in Michael Jackson's song "Thriller" (written by Rod Temperton), before Vincent Price was chosen. Anyhow, Elvira, the brand, is still very much alive, which you can see clearly from visiting her website. Now, enough of advertising, let's get to the actual meat of the matter. Worry not, though - even though I've taken enough time to work on this, this entry isn't super-lengthy. Written by Udo Gertz for Commodore Vic-20 (+16k), C64 and C16. Music for the C64 and Vic-20 versions by Brigitte Gertz. Released by Anirog in the United Kingdom as "Tom Thumb". I was called on to write something special for the RESET magazine celebrating its 10th issue an unexpectedly great elongation of a while ago, so I decided to choose something truly special. As the magazine specializes in all matters related to Commodore, contrary to previous occasions, this time I thought it would be a nice change seeing three Commodore machines put against each other in one man's battle to get in grips with each Commodore machine's difficulties in coding. This article was originally prepared about 11 months ago, and it was finally published a couple of weeks ago - but I have to say, the wait was well worth it! Go and order yourself a copy of the magazine from Binary Zone Interactive Retrostore, or if you're cheap, check the fantastic new layout from the free pdf version once it gets released on the RESET website. Now, back to the point. As I guess we all Commodore fans might agree, it's an almost universally acknowledged fact, that the C16 version rewrite is the best one, but in case you haven't read the RESET article already, here's your chance to see what's what, and why. Written by Jason Benham for the Commodore 64, with music by Robert Westgate. Released by Interceptor Software in 1984. Converted for the Amstrad CPC by Alan Bridgman, with music by Tim Gibson. Published on Interceptor's "Players" budget label in 1986. AMSTRAD CPC version: Designed by Bernard Auré, Programming by Olivier Richez, Graphics by Ivan Gaidonov, Philippe Tesson and Richard Martens; Music by Michel Winogradoff. ATARI ST and COMMODORE AMIGA versions: Design and programming by Bernard Auré (Benoist Aron? ); Graphics by Ivan Gaidonov, Philippe Tesson and Richard Martens; Music by Michel Winogradoff. If the title doesn't tell you enough, let's elaborate. 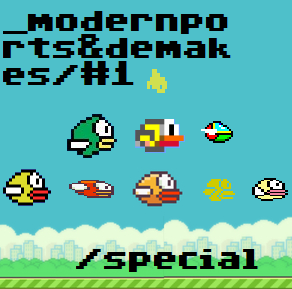 Back when I was still doing the Unique Games series, I made a few mistaken inclusions, these two games being some of the most glaring ones, but there were a few other games I could still make comparisons of, if anyone's interested. The thing is, though, most of the other games only became available for more platforms in the recent years, and the other two most obvious titles would have been rather obscure games called Illusions and Brain Strainers, both of which I thought felt unique enough, but were revealed not to be exclusive to the Colecovision... but I'll go with these two for now, because they're more interesting on a general basis. Designed by James Garon, Kelly Day, John Ludin, Roy Langston and Terry Shakespeare. 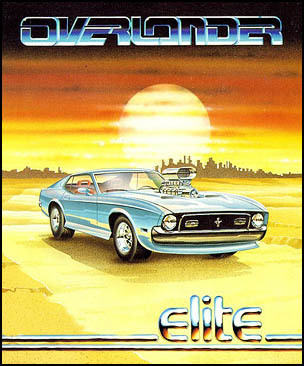 Written by James Garon for the Atari 8-bit computers and Commodore 64 in 1985, with graphics by Kelly Day. Converted for the Apple ][ by Rick Mirsky and James Garon. Music for the C64 version by John A. Fitzpatrick. Released in North America by Datasoft, and in Europe by U.S. Gold in 1985. Converted for the Amstrad CPC in 1985 and for the ZX Spectrum 48k in 1986 by James Software Ltd., and published by U.S. Gold. This is perhaps going to sound a bit worrisome for some of you, but when I started on this blog, I decided that Bruce Lee and Zorro would be the two "bookend" comparison articles. Well, worry not, because there's still a good few comparisons to come, but this does mark the beginning of the end of FRGCB. 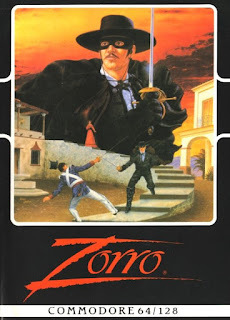 There should be enough games on my to-do list at least until the end of this year, and perhaps a little further beyond, and I'm doing Zorro now only because I want the last foreseeable comparison article to be a properly high note. Now, let's get back to the basics, and hope there will be no similar updates to this as they were for Bruce Lee. That should probably read "Other Scandinavian Games", since I've already dealt with Finland. But yes, you read it right: it's time to dig into the history of our neighboring countries' gaming industries. The topic has been requested by a few different readers occasionally, and because I couldn't find any proper easy-to-browse articles about this topic from the internet, I decided, that before I call it quits with this blog in the not-too-distant future, this should be one of the special entries I make before the inevitable. Mind you, at least the history of Swedish gaming industry has been made into a book called "Svensk Videospelsutveckling - Från 50-tal till 90-tal" by Thomas Sunhede and Martin Lindell, and the book was released in October last year; I have no idea about the existence of either Norwegian or Danish equivalents. Unluckily for me, the book mentioned has been published in Swedish only, and I'm not proficient enough in the said language to have any interest in buying the book, so all the information I have dug into this article have been found by heavy googling, so if any game historian finds anything of interest missing, comments are welcome. 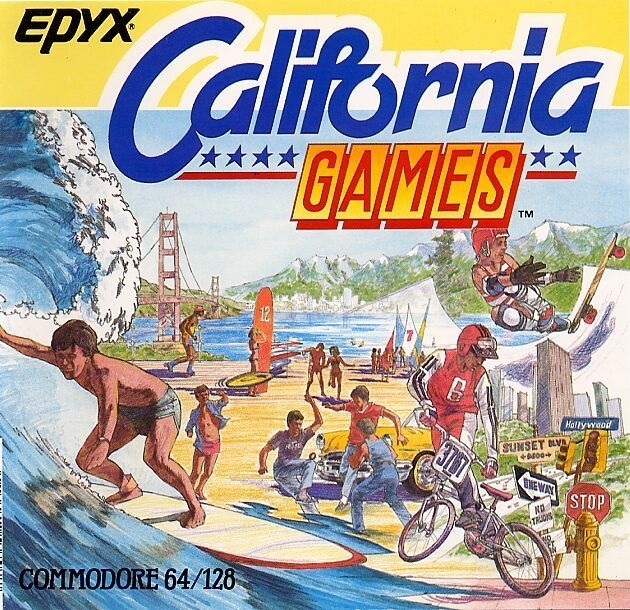 Previously, we left California in a state of discord and mayhem, as the 8-bits were taking the lead over the 16-bits. Of course, like so often before, the games originally developed for a certain kind of a machine rarely translates well onto other platforms, but some of the console versions were of a surprisingly good quality, and were sometimes even better than the original. While working on Part 2, I have also updated Part 1, since I posted it a bit hastily before having figured out all the gameplay aspects of all versions, so you might want to read it through before heading on to the conclusive part. But if you're more interested in graphics and sounds, as well as the overall scores, feel free to continue with this entry. Designed, developed and published for the Commodore 64 by Epyx, Inc. in 1987: Game Design by Kevin "Fuzzy" Furry, Chuck Sommerville, Jon Leupp, Ken Nicholson and Kevin Norman. Graphics by Jenny Martin, Susan Greene, Sheryl Knowles and Paul Vernon. Music by Christopher Grigg and Gil Freeman. Converted for the Amstrad CPC, MSX and Sinclair ZX Spectrum computers by Choice Software in 1987. Converted for the Apple ][ computers by Carl Mey, Edwin Reich, Ed Chu, Brian Fleming and Kevin Norman in 1987. Conversion for the IBM-PC compatibles by Epyx, Inc in 1988: Programming by Gil Colgate, Dan Duncalf, Dave Farquharson, David Miller, Ken Nicholson, Lee Powell and Ken Rogoway. Graphics by Sheryl Knowles, Muffy McCosh, Gail Rathbun and Steve Snyder. Directed by Matthew Householder. Converted for the Commodore Amiga by Westwood Associates, and published by Epyx, Inc. in 1988: Programming by Michael Legg, Barry Green and Louis J. Castle. Graphics by Maurine Y. Starkey, Louis J. Castle, Jenny Martin and Sheryl Knowles. Sounds and music by Christopher Grigg, Karl Lehenbeuer, David Hayes, Steve Hales and Chris Ebert. Project management by Brett W. Sperry, Matthew Householder and Ronald J. Fortier. Converted for the Atari ST by Choice Software, and published by Epyx, Inc. in 1988: Programming by Colin Gordon. Graphics by Sharon Connor. Music by Ben Daglish. Apple //GS version developed by Designer Software, and published by Epyx, Inc. in 1988: Programming by Jimmy Huey and Dan Chang. Graphics by Jenny Martin and Sheryl Knowles. Music by Bill Bogenreif. Project management by Matt Householder and Ron Fortier. Atari 2600 version written by Peter Engelbrite and Steve A. Baker, and published by Epyx, Inc. in 1988. Sega Master System conversion programmed by Mark Cerny, and published by SEGA of America, Inc. in 1989. Converted for the Atari Lynx by Epyx, Inc. in 1989: Programming by Pete Wierzbicki, Stephen Jungels, James Donald and Larry Abel. Graphics by Matthew Crysdale, Susan Greene, Jenny Martin, Arthur Koch, Paul Vernon and Sheryl Knowles. Music by Robert Vieira and Alex Rudis. Additional help by Robert J. Mical and Dave Needle. Converted for the Nintendo Entertainment System by Rare and published by Milton Bradley Co. in 1989: Graphics by Tim Stamper (uncredited). Music by David Wise (uncredited). Other involvement (shown in high scores, otherwise uncredited): Poppi, Kevin Bayliss, Paul Proctor, Tess, Sweep and Rachel Edwards. Converted for the Sega Genesis/Megadrive in 1991 by Mihály Brudnyák, József Molnár and László Szenttornyai, with graphics and animation by Talent, sounds by András Magyari and film linking by Gyuri Szollosi. Published by SEGA of America, Inc. in 1991. Since the first seasonal Epyx two-parter, I have attempted to have one of these at least once a year. A year ago, the obligatory Epyx sports game comparison of the year was Summer Games II, and since then, I have had requests to write yet another one, more particularly of California Games. I'm not sure, whether this will be the last one I make, or not, because there's still World Games to consider as being part of the original series; it all depends on how long I have the energy to write this blog. 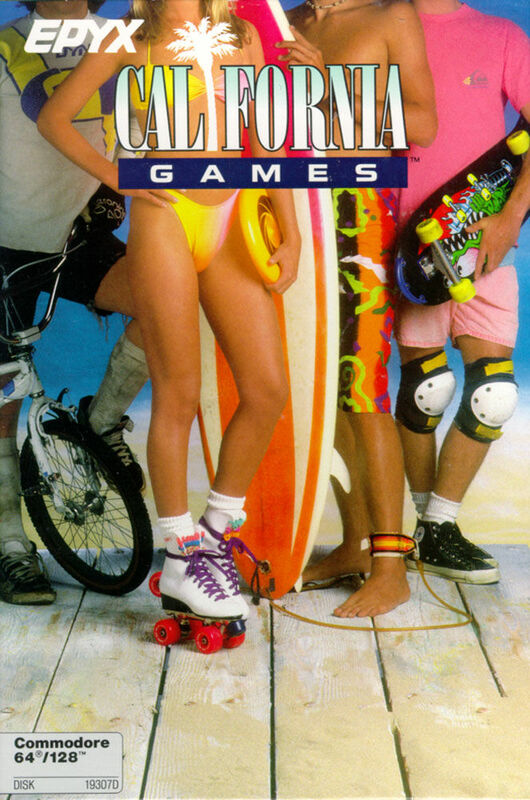 But a comparison of California Games is what people have asked for, so it's what you shall be given this summer. Written by Juha and Mika Salomäki for the Commodore VIC-20 and C64. The C64 version was published in 1985. It's that time of month again to do another Finnish Retro Game Review, and for now, it shall be the last one for a while. There is a good reason for it, though: I'm going to focus my time I would usually spend on writing the FRGR entries on something much bigger, but loosely related to the topic. 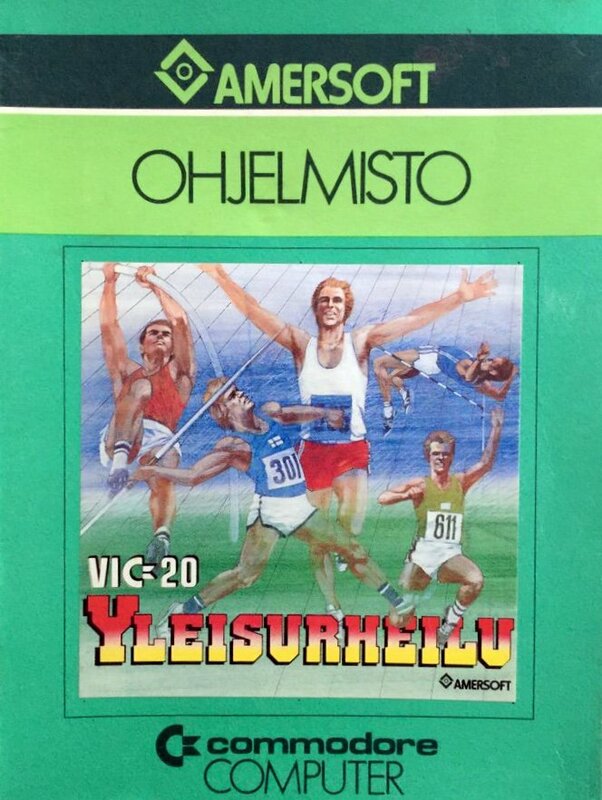 Now, though, the tenth game in the FRGR series is about another game which will require plenty of translating, which is also the first - and so far, the only Finnish multi-event athletic sports game: Amersoft's Yleisurheilu for the VIC-20 and C64. Naturally, having been released for two computers, this is also a comparison of sorts, but not quite in the same manner as a game released for two computers from two different manufacturers would be. Originally written for the Sinclair ZX81 as "La Pulga" by Paco Suárez Garcia, but was, and remains officially unreleased. 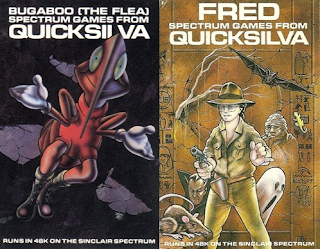 Re-written for the Sinclair ZX Spectrum by Paco Suárez Garcia and Paco Portalo Calero, and published through Quicksilva in 1983. Converted for the Amstrad CPC by Paco Suárez Garcia, with graphics by Juanjo Redondo, and released through Amsoft in 1984 as "Roland in the Caves". 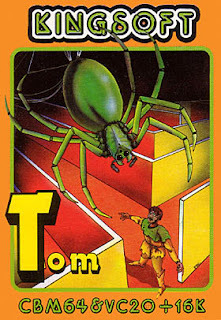 Converted for the Commodore 64 by Pedro Ruiz, with graphics by Ángel Domínguez and music by Félix Arribas, and published through Quicksilva in 1984. Written for the MSX computers by Steve and Ann Haigh, and published through Quicksilva in 1986. Written for the Amstrad CPC by Paco Menendez, Fernando Rada Briega, Camilo Cela and Carlos Granados Martinez, and published in Spain by Zigurat in 1984. Also re-branded and re-released as "Roland on the Ropes" by Amsoft for the Amstrad CPC in 1984. 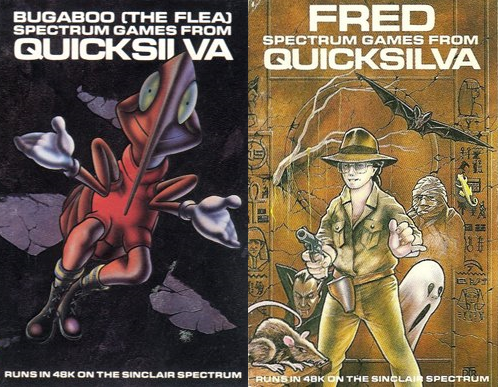 Written for the Commodore 64 by Pedro Ruiz, and first published in the UK by Quicksilva in 1984. Written for the Sinclair ZX Spectrum by Carlos Granados Martinez, Paco Menendez, Fernando Rada Briega and Juan Delcan, and first published in Spain by Investronica S.A. in 1984. Also converted for the Texas Instruments TI-99/4A by Arnd Russmann, and released as "Freddy" by Saurussoft in 1985. Designed by Rieko Kodama for Sega Enterprises, with music by Katsuhiro Hayashi. Originally released for the arcades by Sega in 1986. Conversion for the Sega Master System (Mark III) written and released by Sega in 1987. Released in Japan as "Double Target - Cynthia no Nemuri"
Converted for the Commodore 64 by Sega: Produced by Jonathan Dean, Music by David Whittaker. Published through Activision in 1987. Converted for the ZX Spectrum by Probe Software: Programming by Antony R. Lill, Graphics by Nick Bruty. Published through Activision in 1987. Converted for the Amstrad CPC by Probe Software: Programming by Anthony Heartley. Published through Activision in 1987. Admittedly, this isn't one of Sega's most successful games of all time, particularly when it comes to the home conversions. However, due to its limited exposure, I thought Quartet would make for a nice alternative against all the more obvious games, and besides, there aren't too many games that begin with the letter Q that would be interesting enough to fit into the blog. 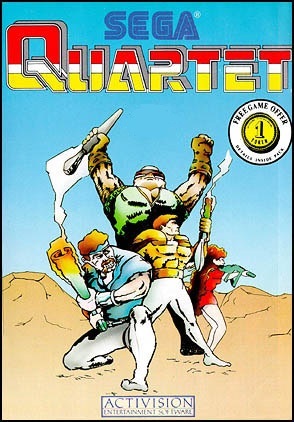 But what makes Quartet a properly interesting game is the fact that it was released just a bit after Atari's Gauntlet - another four-player action game was doing high profit in both the arcades and home computers. Not too many game companies would have the guts to try and achieve the same level of success with something quite a bit different. As you might already know, the home conversions of Quartet left a lot to be desired on every platform, but can you really blame the conversion teams for their attempts? Developed (at least partly) by Ikegami Tsushinki for SEGA Enterprises Ltd., and released originally for the Japanese arcades as "Tip Top" in 1983. 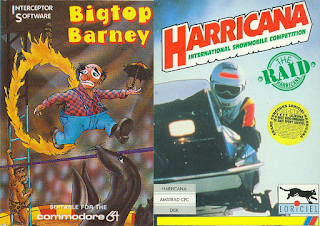 Converted and mostly published by Sega for the Atari 2600, Atari 5200, Atari 8-bit computers, MSX, Sega SG-1000, Commodore 64, Commodore VIC-20, Mattel Intellivision and Texas Instruments TI-99/4A in 1983. - Commodore 64 and VIC-20: additional programming by Kevin Kenney; published by SEGA/US Gold. Also converted and published by Sega for the Apple ][ and IBM-PC compatibles in 1984. 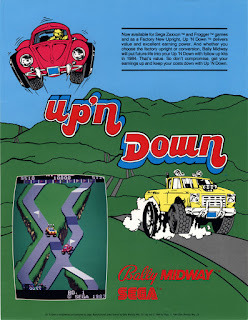 Still also converted for the ColecoVision in 1984, and published by Coleco Industries, Inc. Converted again for the Commodore 64 in 1985 by SEGA/US Gold. Here's another early Sega classic for you, and our game for today is perhaps not quite as obscure as the last one. 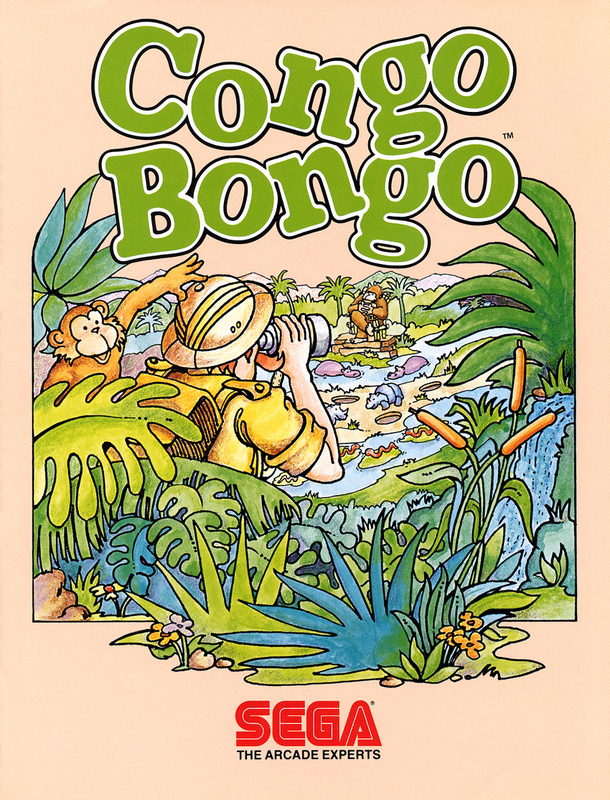 This time, I'm picking up one of my friend Bob's favourite games, Congo Bongo, which was basically Sega's attempt at cashing in on the success of their earlier collaboration with Konami on Frogger, as well as Nintendo's Donkey Kong. 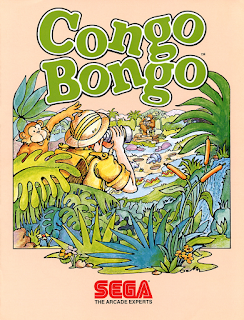 According to Wikipedia, it wasn't much of a success when it was released, but despite of it, Congo Bongo was ported to nearly every major gaming platform at the time, and uniquely, the C64 was given two different official conversions, as if someone was trying to apologise and make up for making such a mess the first time around. Weirdly, as with most other Sega's early games, the game's developing and porting team credits are well kept secrets for the most part, but there are indications in the game's original arcade ROM to it having been likely coded at least in part by the company Ikegami Tsushinki, who also worked on Donkey Kong and Zaxxon. If anyone finds out more about the credits for any version, please drop a line in the comments section. Developed by SEGA Enterprises Ltd., and released for the Japanese arcades by SEGA, and for the North American arcades by Bally/Midway in 1983. Ported for the following home computers and video game systems in-house by SEGA Enterprises Ltd.: Apple ][, Atari 2600, Atari 8-bit computers, ColecoVision and Commodore 64 in 1984 and IBM-PC compatibles in 1987. ColecoVision conversion programmed by Paul Crowley. Commodore 64 music by Tony Vece. IBM-PC conversion by R. Leittner. No other credits are known. This month, I shall be focusing on Sega's old arcade titles, starting with this slightly lesser-known title to give some filler for the other end of the alphabetically ordered list. The popularity, or at least the becoming of more common knowledge among 80's gamers of Up'n Down, I believe, can be credited mostly to piracy. 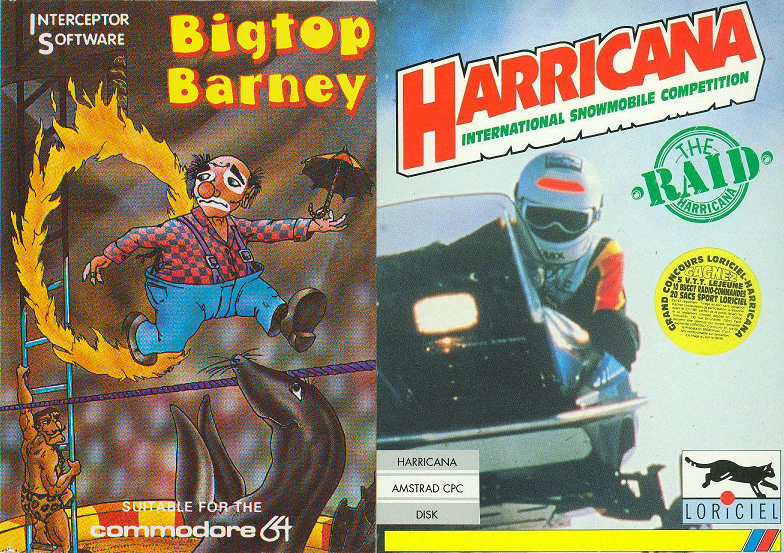 At least from what I can remember, it was one of those games that was most likely to be featured on any C64 gamer's collection of either turbo tapes or disks full of single-filed games. I'm pretty sure it must have been the same story for Apple ][, 8-bit Atari and IBM-PC communities back then, but I can only attest to the game's C64 spreading. 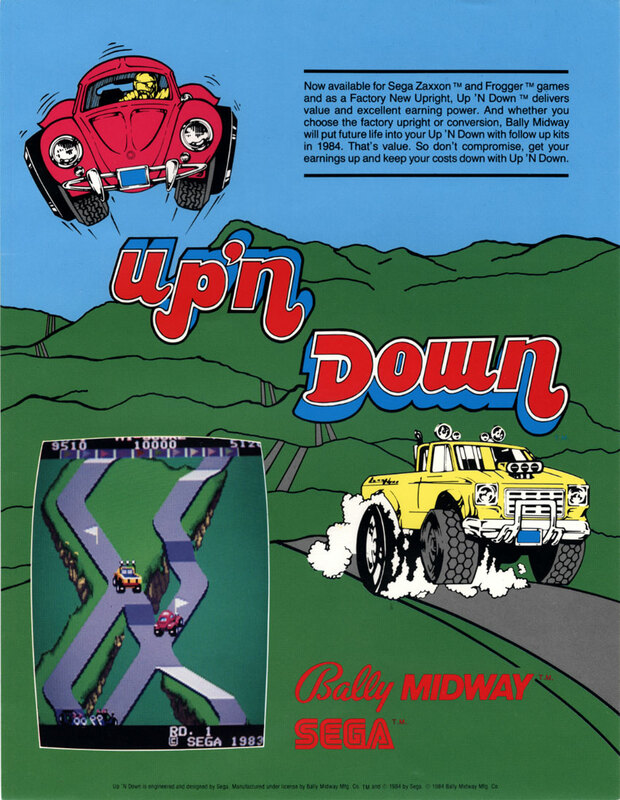 Although Up'n Down along with a few other games from Sega were to be converted for both ZX Spectrum and Amstrad CPC, this was one of the games that sadly never got released, but we're still hoping for a prototype or something to appear. Not only that, but there was supposed to be an SG-1000 version of the game, which was reportedly advertised in Japan and Finland of all places - that one never appeared either. As it is, though, seven different versions is already a lot to take in and write about. Written by Mikko Helevä in 1987 for the Commodore 64. Loading screen by Stephen "SIR" Robertson. Originally published through Hewson's Rack-It budget label in 1988. 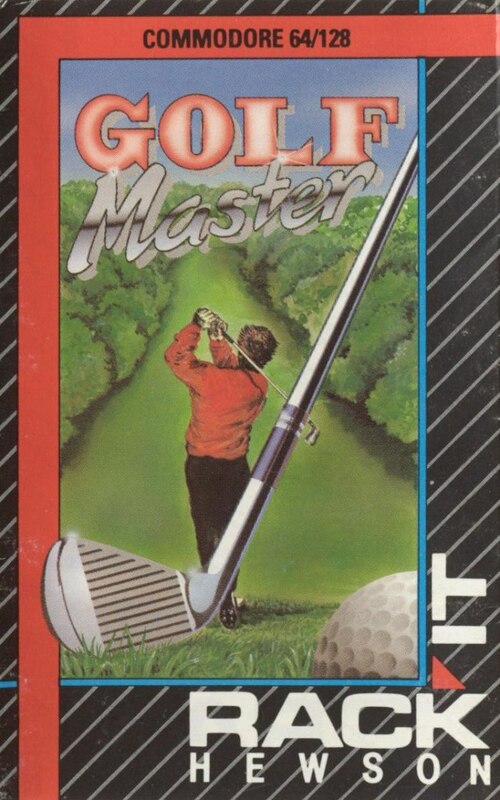 Re-released as "Challenge Golf" by Prism Leisure Corp. in 1992. 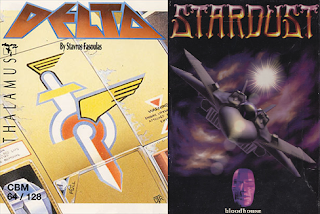 We continue the Finnish Retro Game Reviews series back in the expected realm of Commodore 64 games. This time, however, the game under inspection is the only commercially released game from a then-promising game developer, Mikko Helevä, whose only other game developing credit is an Asteroids-clone called Space Ace, also for the C64. 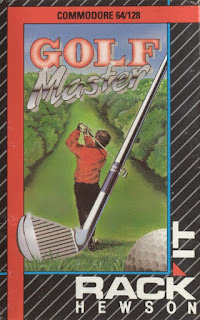 Although Golf Master came too late in the 8-bit computers' time to make much of an impact, it was deemed good enough for a re-release by Prism Leisure in 1992, as well as freebies included in both February 1991 Zzap!64 Megatape and Commodore Force Reel Action #7 covertape (from 1993). Despite the relative success, and very likely due to Mikko's young age of 18 when his Golf Master was released, he never got back into game developing - at least not to anyone's knowledge. Golf Master's current rating being 5.1 from 14 votes at Lemon64, perhaps it's not much of a wonder that we haven't heard from Mikko Helevä since 1989. In any case, once again in a relatively short, but seamless review form, here's a proper look at the only currently available Finnish golf game - let's hope it serves a purpose. 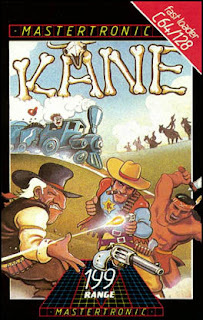 Designed and written by Kelly Jones for the Atari 8-bit computers in 1983. Converted for the Apple ][ by Jonathan Tifft. Converted for the Commodore 64 by Miriam Nathan and William Mandel in 1984. Published by Synapse Software in the North American market and by U.S. Gold in the European market. Remake for the Commodore Amiga written by Simon Chin, and released into public domain in 1995. 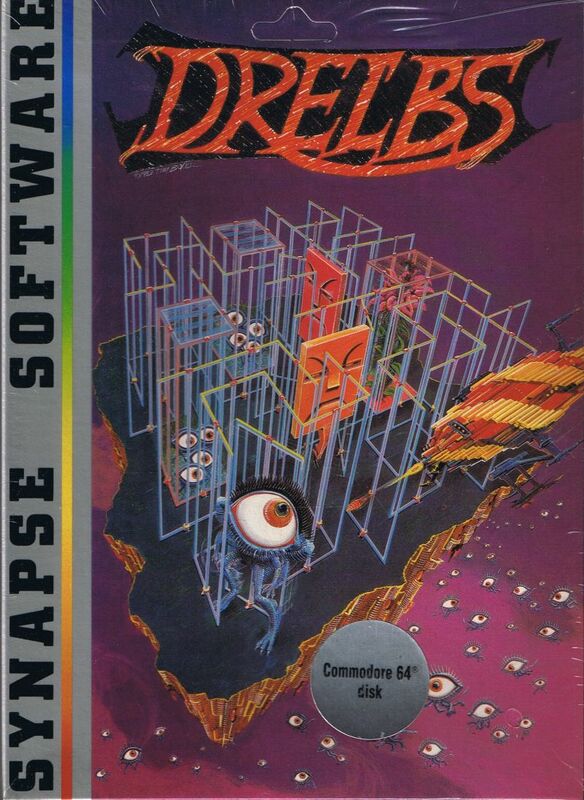 Here we have another cult classic from Synapse Software's catalogue, this making it the sixth game from Synapse to be featured on this blog. It is perhaps a bit odd that it took so long to come to this one, at least from my point of view, because it's one of the games that was requested early on in the blog's life, but for a long time, I wasn't aware of the unofficial Amiga remake or even the Apple ][ version. I remember this game having been a great favourite of mine and also a few of my friends back in their active C64 days, which makes it strange to realize that it wasn't much of a hit back when it was originally published, so in the hopes of spreading out the good word, here's my contribution to advertising this game. 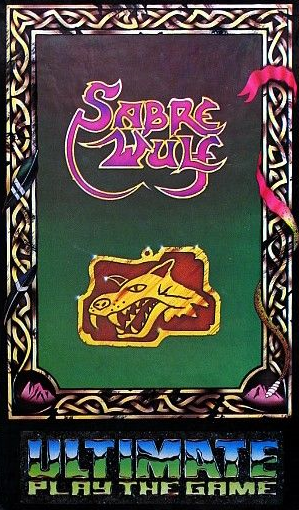 Designed and written for the Commodore 64 by Stephen Cargill. (This has not been divulged anywhere, but it's an assumption based on information in other versions.) Music by Neil Baldwin and sound effects by Jas C. Brooke. Released by The Edge in 1987. Converted and released for the ZX Spectrum, Amstrad CPC, Atari ST and Commodore Amiga in 1988: Design and programming by Stephen Cargill, with additional programming on the Amiga version by John Jones-Steele. Amiga and ST graphics by Jack Wilkes, Amstrad graphics by Mat (Sneap, perhaps?) and Spectrum graphics by Neil Strudwick. Amiga music and sound effects by David Whittaker. Released by The Edge in 1988. 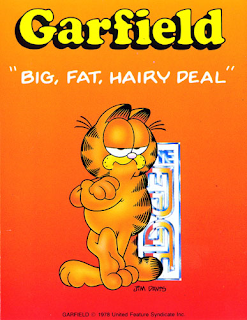 The first of many games featuring everyone's favourite overweight feline was expected with some enthusiasm in 1987, and not only because the first attempt for the Atari 2600 was cancelled three years prior, and the second computerized version of Garfield wasn't a game at all, but a cartoon studio of sorts. The company to take over the first Garfield game to actually be released was The Edge (currently Edge Games), later to become more known for their enforcing trademarks relating to the word "edge". But at the time, The Edge were still known to produce some pretty good games like Bobby Bearing, Fairlight, Brian Bloodaxe and Mindstone. So, when Garfield was announced, there was promise of high quality cartoon graphics and an adventure worthy of Garfield's name, and these promises were even fulfilled to some extent. Having a beloved cartoon (or comic strip) turned into a computer game was still somewhat of a novelty at the time, so it didn't bother too much that the game was practically a modified version of Pyjamarama. 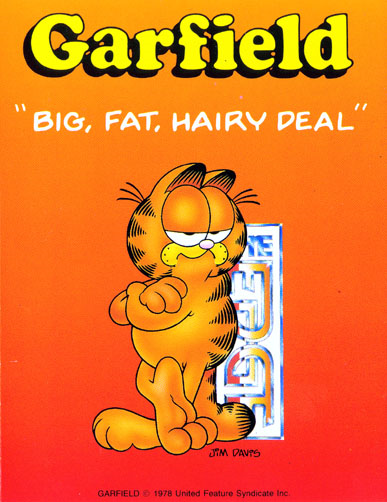 Deeper within the surface, though, Garfield's first proper game proved to be a more brutally aggravating game for some than what one would have expected from a Pyjamarama variant, and has been considered either a lost opportunity or a wasted effort by many. My experience of the game has been woefully limited to the C64 original so far, so this entry is not just an attempt to prove that it's still a rather playable game, but also to educate myself and others like me of the differences between all five versions of one big, fat, hairy computerized deal. Written by Marko Aho and Kari Aaltonen for the Sinclair ZX Spectrum in 1985, and published by Triosoft in 1986. 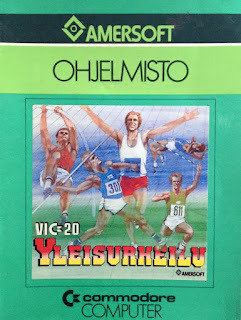 The series of Finnish Retro Game Reviews continues from where my series of a History of Finnish Games began. This will probably be the shortest entry in the history of FRGCB, because it's a review of a text adventure game. Well, at least it has some graphics, so it's not going to be a completely barren entry in that way. Too bad the cover art and the loading screen have been lost in time, and the only downloadable version currently available is a .z80 file (inside a .zip archive) at Marko's old website, which was last updated in June 2007. In any case, Kultakuume (Finnish for "Gold Rush") was the only commercially released Finnish text adventure game for the ZX Spectrum, and it was made with Gilsoft's The Quill Adventure System from 1983 and The Illustrator from 1984. It was also one of only three commercially released Finnish ZX Spectrum games, the third of which is a golf game which hasn't been found yet. Originally developed and released by Konami for the arcades in 1987. Sound editor: Kazuki Muraoka. Cabinet graphic design: Don Marshall. Further credits are unknown. Conversion for the Nintendo Entertainment System by Konami: Directed by Shigeharu Umezaki. Programming by Shigeharu Umezaki and Satoshi Kishiwada. Character design by Setsu Muraki and T. Nishikawa. Music by Shinya Sakamoto, Kazuki Muraoka, Atsushi Fujio and Kiyohiro Sada. Released in 1988. Also released for the Famicom Disk System as "Konamic Ice Hockey". Conversion for the Commodore Amiga and IBM-PC compatibles by Novotrade: Programming by Peter Agocs, Judit Buczolich and József Szentesi. Graphics by Zoltan Hoth. Released by Konami in 1990. 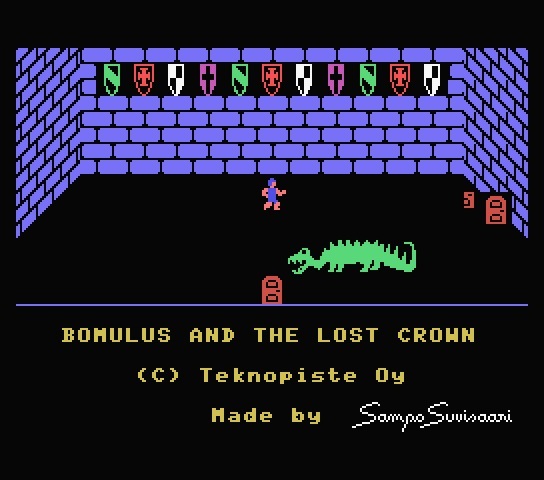 Converted for the Commodore 64 by Antal Zolnai for Novotrade, and released by Konami in 1990. Converted for the Nintendo Game Boy by Konami: Directed by Y. Nakanishi. Programming by Y. Nakanishi and S. Tamate. Character design by Nobuaki Matsumoto. Music by Hidehiro Funauchi and Akiko Itoh. Released as "Konamic Ice Hockey" by Konami in 1991 in Japan. 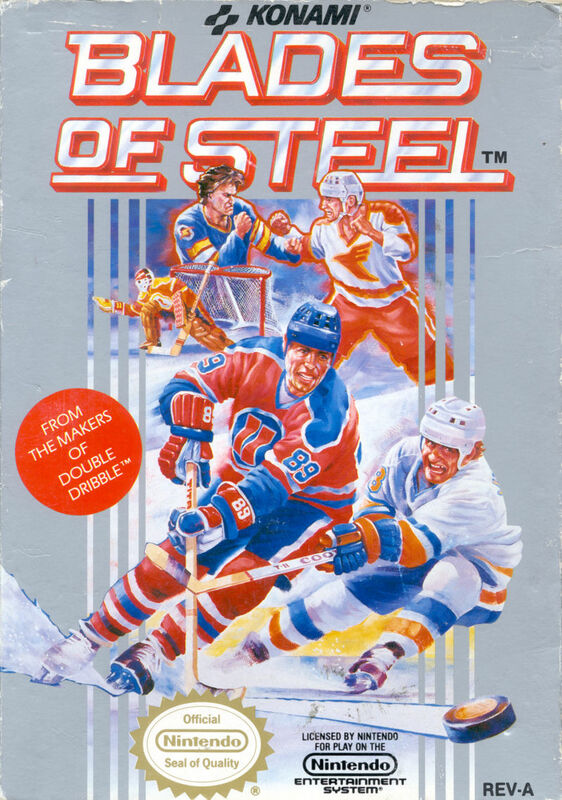 Released as "Blades of Steel" by Ultra in 1991 outside of Japan. Happy New Year, everybody! Let's start 2017 with something cheerful and fitting for the season: ice hockey! Since the blog has already featured my all-time favourite hockey game - Hat Trick, there is only one other game of this particular sport that can be considered good comparison material. 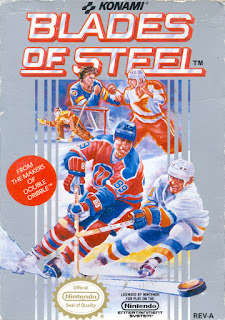 Curiously enough, my initial research into Blades of Steel faced a peculiar obstacle: no source seems to have any knowledge on the team behind the original arcade game. Even the "thank-you" sections in the NES and Game Boy credits list the original arcade team as exactly such. Mysterious, isn't it?